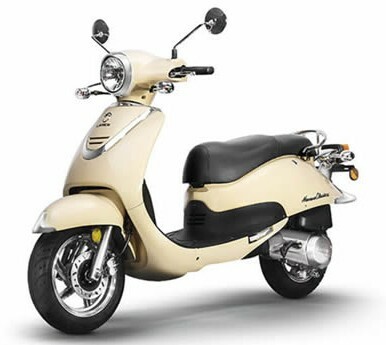 The Havana Classic is a sleek looking, comfortable scooter who also happens to be the Cali Classic’s brother. 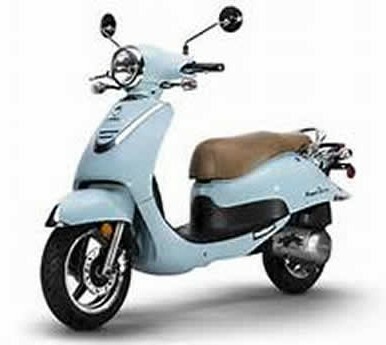 The two scooters are essentially identical except for the handlebars, headlight, and gauges. The Havana has a great retro look with it’s round chrome-circled headlight, sleek body, and cool colors. Fit and finish is excellent, and reliability is stellar. The Cali also has a low to the ground slopped seat, perfect for two riders. Whether you’re short or tall, you’re sure to find the Havana comfortable. 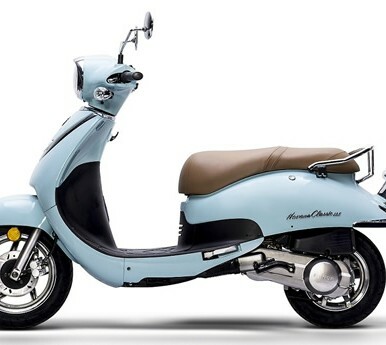 The Havana Classic comes in three engines, however you’ll most commonly see the 49cc and 149cc versions on our floors as they are the best performers. The Havana will looked good no matter your riding environment, whether it be the beach or the concrete jungle.